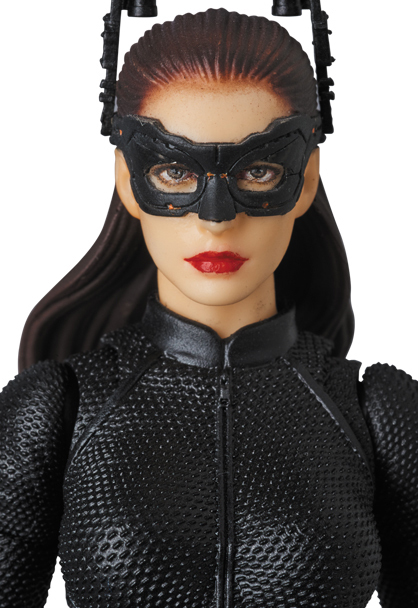 In May 2015, Medicom released their original Catwoman MAFEX from The Dark Knight Rises. 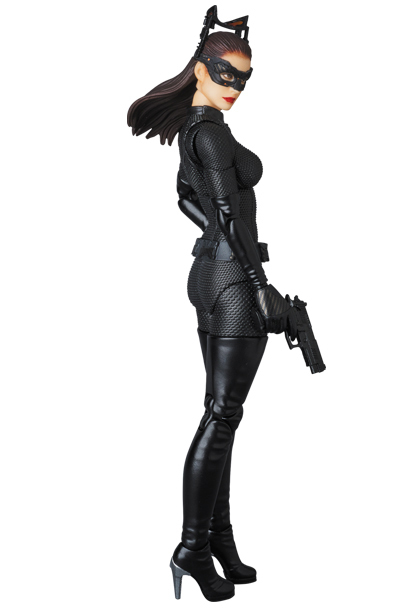 They have now revealed an updated version of the figure, with newly sculpted pieces, new accessories and an updated paint scheme. 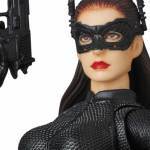 The Dark Knight Rises – Catwoman MAFEX 2.0 Figure will stand at 6.3″ tall and include moth masked and unmasked head sculpts featuring an updated likeness to actress Anne Hathaway. 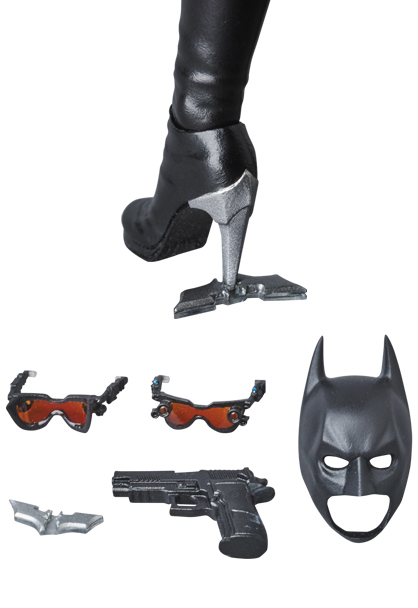 The Catwoman figure will also include an assortment of interchangeable hands, two sets of goggles, a cracked batarang, a Batman cowl and a pistol. An articulated figure stand will be included as well. 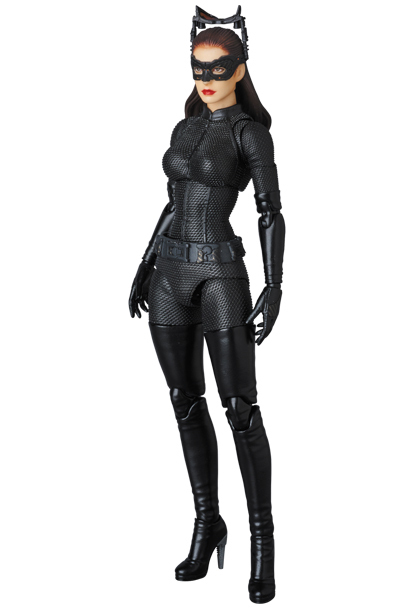 The Dark Knight Rises – Catwoman MAFEX 2.0 Figure will be released in December. 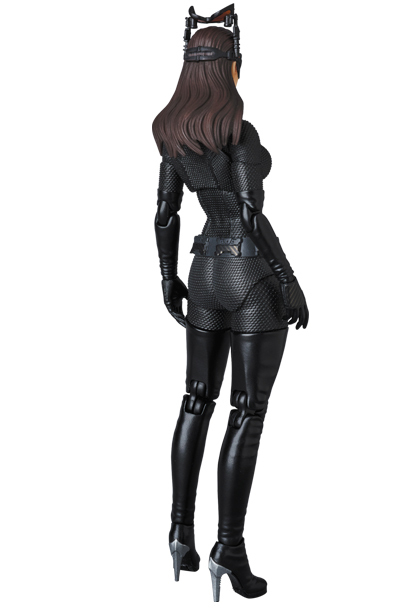 The figure is priced at 6,800 Yen (about $62 USD). Check out the new photos after the jump. 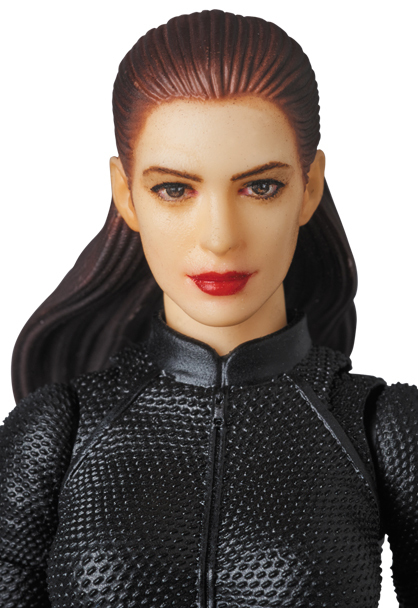 That's a pretty good Anne Hathaway likeness but Mafex needs to add skin tone to their figure. Pale, bland plastic doesn't work for me. It looks super to me, but proof will be in the review. 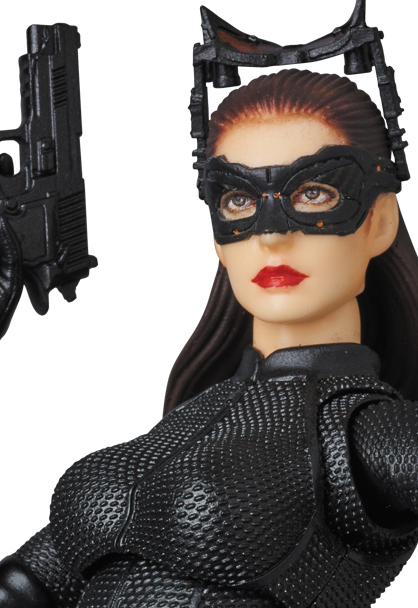 If this works out well, and the upcoming Batman Begins figure does too, then I want 'em both. Now I'm glad I passed on their first effort, though I did get the initial Batman and his improved version. 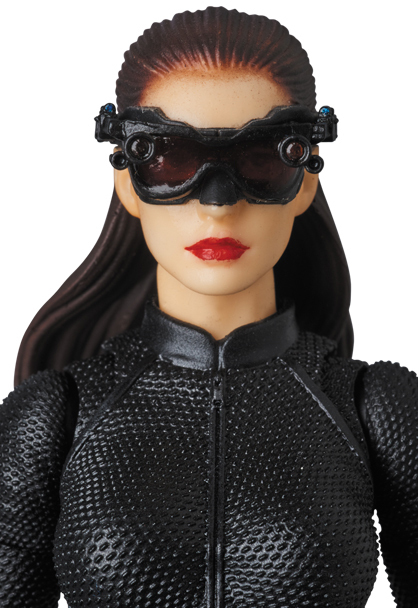 Thing is though, Mafex figures always look great in their promo pics but then what you get isn't always up to snuff. I'll wait for reviews methinks.